Our flight from Crete landed in Paris on a cold, rainy Wednesday. We were both tired and hungry and went out in search of food. It was Fashion Week and we paid a fortune for a hotel that we already knew we hated, and it was in an area that was a food dead zone. There was nothing around. After an hour of searching, and both of us getting hangry, we opted for sushi. I don't remember when we realized we were going to have an extra day in Paris, but when we did, I proposed the idea of going to Disneyland. 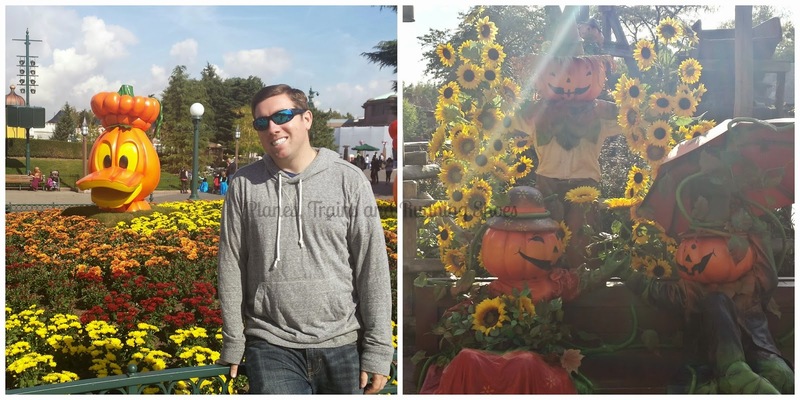 Neither of us had every had much of an interest in Disneyland Paris (formerly EuroDisney) but it seemed like a fun thing to do and a change of pace from everything else we had done, so we went with it! The train from Paris takes about 45 minutes. Once we got there, we had the option of going to either Disneyland Park or Walt Disney Studios Park. 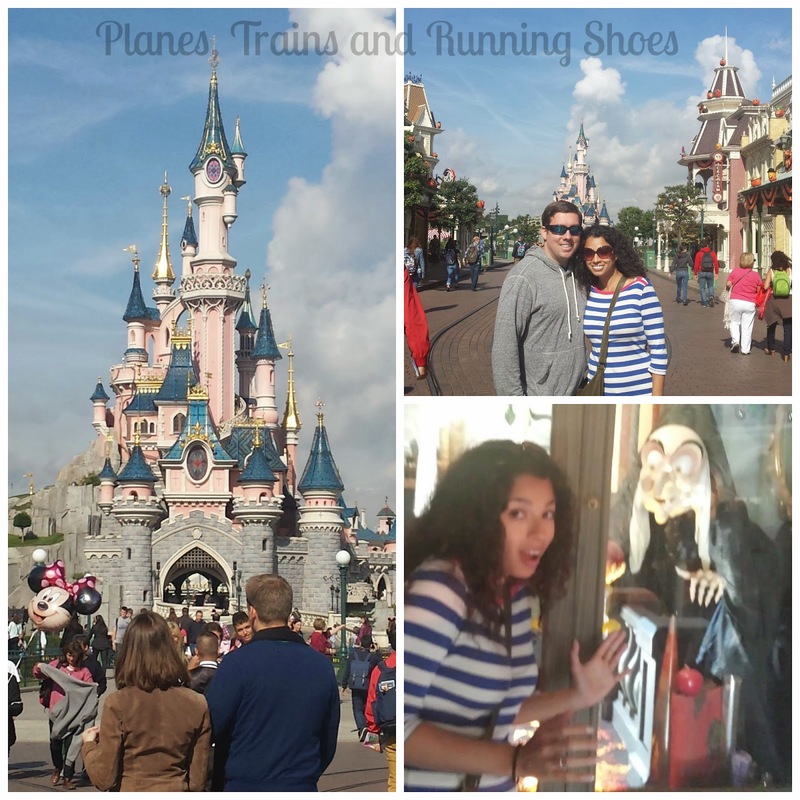 We decided to go to Disneyland Park. Cinderella's Belle's Aurora's Castle...with the wrong evil villain inside. The whole place was decorated for Halloween and it was awesome. I've never been to any of the Disney parks during a holiday and it was really cool to see. The decorations looked like they've been there year round! Next up, rides! 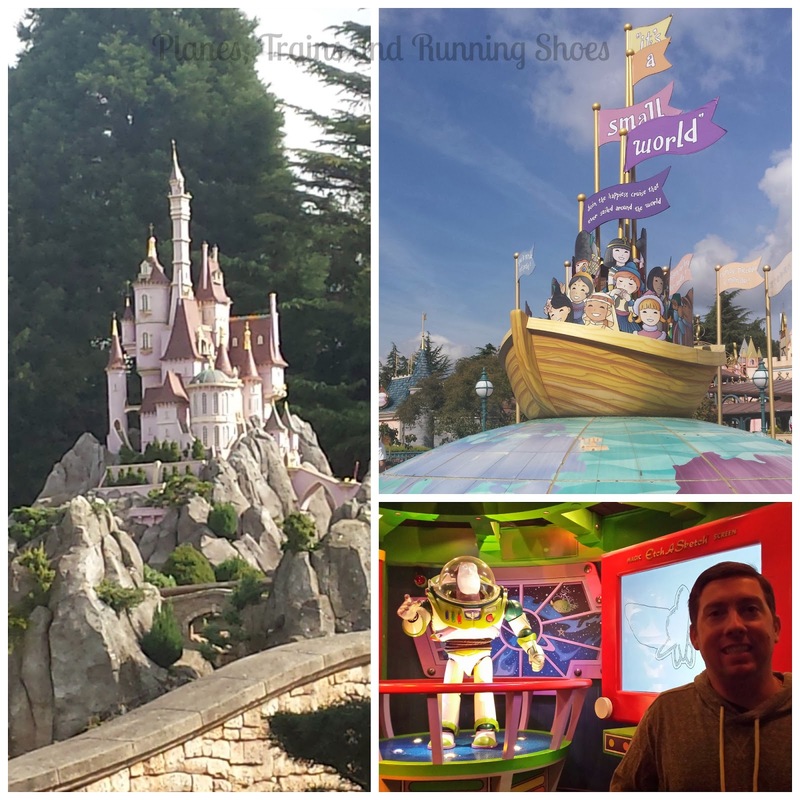 We started at It's a Small World, then went to the Buzz Lightyear Laser Blast (my husband still loves Toy Story just as much as he did when he was a kid). There weren't a lot of people in the park so the lines were minimal, which was awesome. I attribute that to it being a cold Thursday in the fall! 1) A replica castle in one of the rides, 2) Small World, 3) The Pilot and his ultimate super hero, Buzz. For lunch, we headed back to Main Street (which was still Main Street USA, but would've been better as the main street in Belle's provincial little town). I was really surprised to see that the food in Disneyland was so much cheaper than the food at any of the other Disney parks. It was actually priced similarly to the rest of the food in Paris. 1) The Jolly Roger, 2) The saddest Disney movie of all time, 3) AGRABAH! We made our way around to Frontier Land for a ride on Thunder Mountain before lining up for the parade. I felt like I could take or leave the parade, but it seemed like the whole park shuts down for it, so we went and I'm so glad we did. It was awesome and definitely made me feel like a kid again. L>R 1) Elsa, 2) Peter Pan!, 3) Minnie Mouse! Having worked for Disney for years, I really appreciated how well done the parade was. After the parade, we went on another one or two rides, took a stroll through downtown Disney, and then made our way back to Paris. When we got back to Paris, we decided to take a trip to the Eiffel Tower. We hadn't been there when we were at the start of our honeymoon, so we really wanted to go back. I just love seeing it at night, and one of my favorite things to do in Paris (as cliche as it sounds), is to eat crepes under the Eiffel Tower. We were both hungry (and low on cash), so we each ordered a crepe - 1 savory and 1 sweet (nutella, of course) and shared and looked up and marveled at just how gorgeous that tower is. We were pretty worn out from the walking around and riding all the rides that day, and we caught the Metro shortly before it closed. 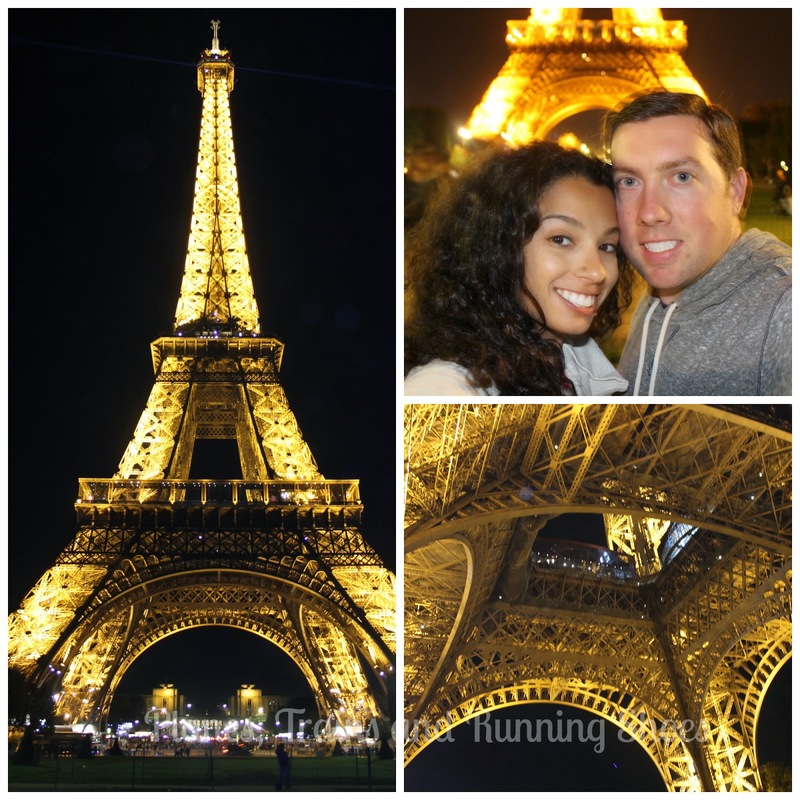 The next day was our last day in Paris...and of our honeymoon, and we definitely saved the best for last! We got a discount on tickets to Disney which ran us around $75 USD each. In hindsight, I wish we had gone to Walt Disney Studios Park instead Disneyland Park. 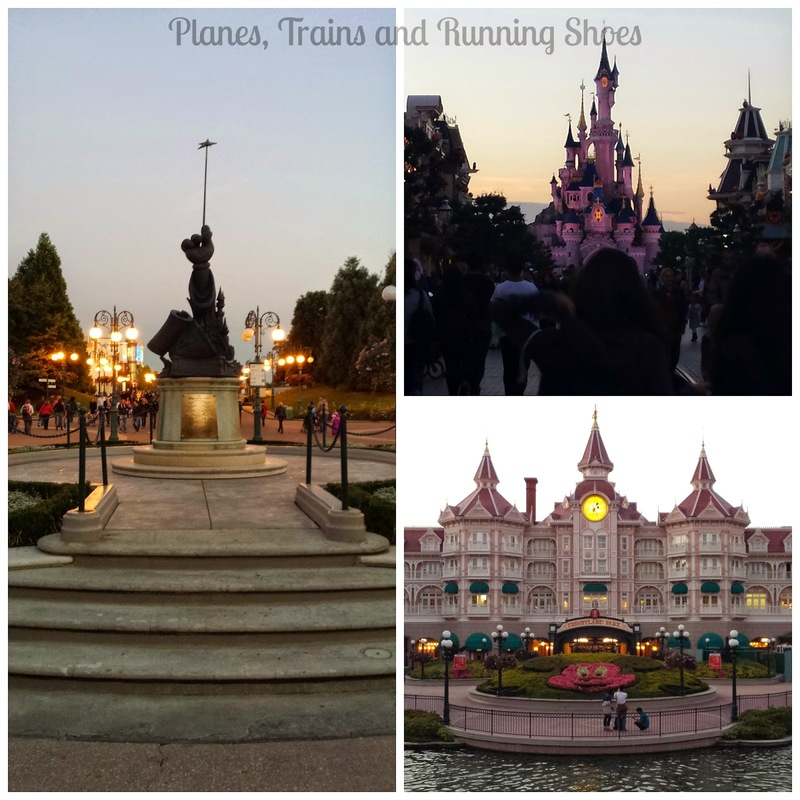 The Park we went to wasn't much different from the Magic Kingdom in Disney World (Orlando), whereas Walt Disney Studios Park (we later learned) had a bunch of different, and exclusive to Paris, rides like a Ratatouille ride, and a Cars ride. I had heard some bad things about Disneyland Paris. 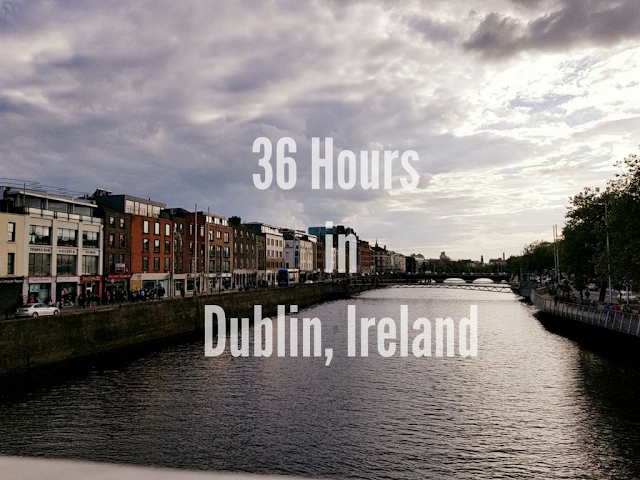 The one thing I will say, it is definitely not as impeccable as Disney World, but it was still a lot of fun and I would recommend it. I might even go back to the other park, if we ever find ourselves with an extra day in Paris. I'm glad that it still wasn't a total bust! I laughed out loud at "AGRABAH!" Excited to see the rest of the photos. 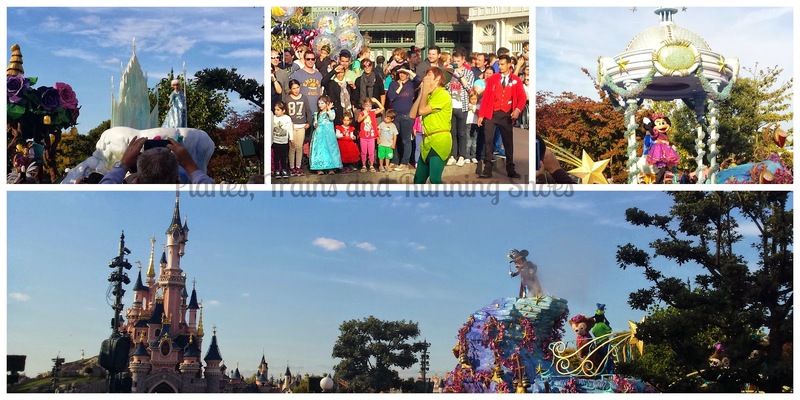 Disneyland Paris looks like so much fun! And eating crepes under the Eiffel Tower sounds like the perfectly romantic way to end an evening on your honeymoon.